Not the best name ever for an artist, but after being mistakenly identified with a later 14th-century painter named Jacopino di Francesco in the records, this is the name that has stuck, although it's becoming increasingly common to see attributions to Jacopino da Bologna. 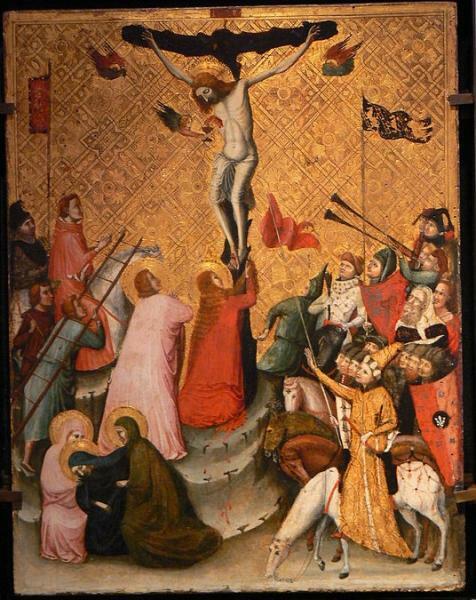 Active in the 1330s, Jacopino was one of the founders, along with his younger contemporary Vitale da Bologna, of the medieval Bologna School. He may have originally come from Rimini before doing most of his work in Bologna, and was notable for often breaking the boundaries of conventional, stylized religious works with a precocious realism. His Coronation of the Virgin and St James the Greater are in the Pinacoteca Nazionale; also see San Giovanni in Monte.